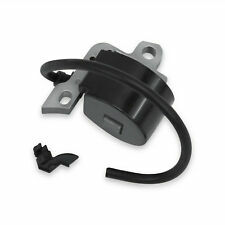 This is a brand new oem part in the original package. 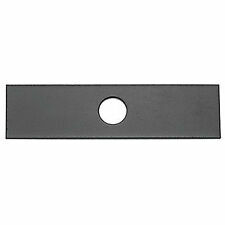 STIHL OEM Genuine 0000 882 0910 PS 30 PRUNING SAW BLADE 6 1/2"
Stihl 1137 120 1600. Stihl: 1137 120 1600. Stihl: MS192 T chainsaws. Replaces OEM Stens Air Filter. Length: 4". 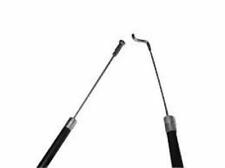 STIHL OEM Genuine 7010 882 0702 PP 80 HAND PRUNER 9"
STIHL: MS231, MS251, MS271, MS291, MS311, MS391. STIHL: 1141 120 1600, 11411201600. This is why the model & serial numbers must be referenced to find the correct part. We will get back to you as soon as possible. STIHL OEM Genuine 0000 882 0905 PS 70 PS 70 PRUNING SAW-13"
STIHL: FS111 FS131 FS91. STIHL: 4180 141 0300B. HEIGHT7/8". WIDTH2-3/4". Stihl 024, 026, MS260, 024AV, 024S Chainsaw. GENUINE Walbro Carburetor. Carburetor Air Filter Fuel Line Repower Kit for MS290 MS310 MS390 029 039 STIHL Chainsaw. STIHL MS290 MS390 MS310 029 039 chainsaw. Carburetor Carb Kit For Tillotson HU-40D STIHL 028 028AV 11181200601 WT-16B. Features: Effectively removes moss and weeds in joints, cracks and surfaces. For persistent surface growth, we recommend the brushed . The brush fits nearly 99% of the brush cutters available on the market Replacement part for your old one. Brush accessories attachment for long time using. Curved steel wire type. .
New NOS OEM Stihl Tank Vent. STIHL, Blower tube, 4229 - 708 - 6301. HUSQVARAN : 322L, C, R, 323L, 325L, 326L, 325HS, HDA, HE. Stihl : MS200T. Fits Models REPLACES OEM. STIHL OEM Genuine 7010 882 0901 PS 60 PRUNING SAW & SHEATH 9-1/2""
OEM Part: 7010 882 0901. Stihl 350 concrete chop saw . Condition is Used. Shipped with UPS Ground. 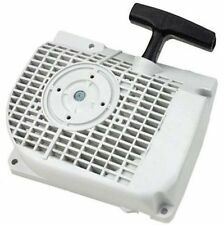 FITS STIHL TS460 TS350 TS360 TS08 038 MS380. PISTON BEARING FOR STIHL REPLACES OEM 9512 003 3140. BG55, BG65, BG85 LEAF BLOWER. A NICE DIY KIT FOR STIHL. 1- NGK SPARK PLUG # BPMR7A. 1- FUEL FILTER # 9139, 610-182. 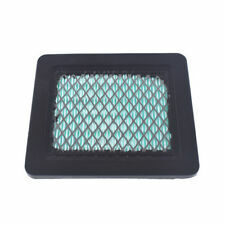 1- AIR FILTER # 14258, 100-739. STIHL OEM Genuine 7010 881 3603 PP 60 HAND PRUNER 7"
OEM Part: 0000 881 3603. TS410 & TS420. Replaces Stihl Part # Fits Many Stihl Cut-Off Saw Models You are responsible for verifying the OEM part number. Did you check your OEM part number?. 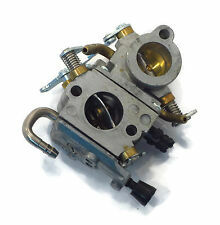 New Highly Quality Carburetor for： Stihl BG45 BG55 BG46 BG65 BG85 SH55 SH85. 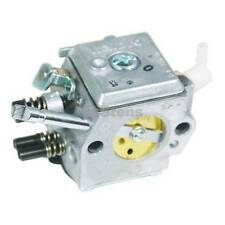 Replaces Carburetor For Replaces Carburetor Parts No : 42291200606 / C1Q-S64 / C1Q-S68D / C1Q-S68E. 1x Carburetor. If you buy the wrong products, plese inform us as soon as possible. Echo: 12318140630. Walbro: 188-12, 188-12-1, 188-14, 188-14-1. Walbro: WA, WT, WY, WYJ, WYK, WYL, WYP and WZ carburetors. Stihl: 4133 121 2700. Ethanol: Not compatible with greater than 10% ethanol fuel. Fits Models: STIHL: BR500, BR550, BR600. 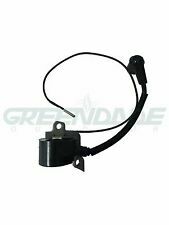 Replaces (OEM): STIHL: 4282 180 1100, 42821801100. CABLE LENGTH: 51". MAKE SURE THIS IS RIGHT FOR YOU. Fits Honda GC135/ GCV135/ GC160/ GCV160/ GC190/ GCV190/ GX100 /HRR216 /HRT216 /HRT217 /GXV57 And F220 Tiller. We maintain high standards of excellence. Air Filters. OEM Part# 17211-Zl8-023 17211-ZE8-000 17211-ZL8-003. Stihl MS240, MS260, MS290, MS310, MS340, MS360, MS380, MS381, MS390, MS440, MS640 Chainsaw. 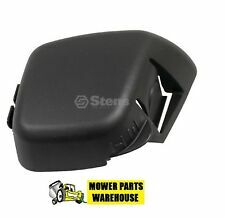 Fits the Following Stihl Models Stihl 024, 026, 028, 029, 034, 036, 038, 039, 044, 048 Chainsaw. Stihl FS360, FS420 brush cutter. 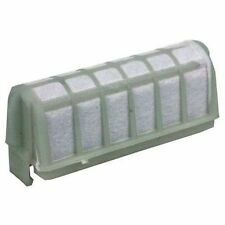 Foam Air Filter replaces Stihl 4241 120 1800. (1) Fuel Filter replaces 0000 350 3502, 0000 350 3506. 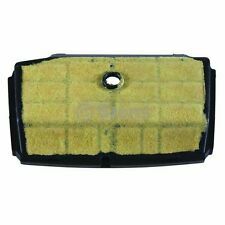 (1) Air Filter replaces 4241 120 1800. (1) Spark Plug replaces CMR6H. Stihl: MS261 chainsaws. Stens 085-3247 Pro Spur Sprocket. Silver Streak Pro Spur Sprocket. Stihl: 1141 640 2003. 3/8" Pitch, 7 Teeth. Bearing included. Stihl: 064, 066, Magnum MS640, MS650 and MS660. 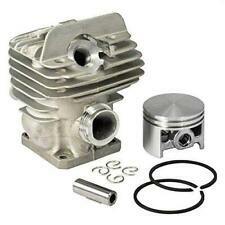 Walbro OEM Carburetor Kit. Walbro K15-WJ. Walbro: K15-WJ, K12-WJ. Stens 615-850 OEM Carburetor Kit. 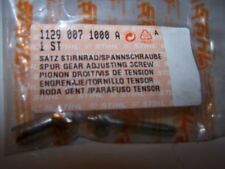 FITS STIHL MODELS MS192 & MS192T. NEW FILTER KIT, WHICH INCLUDES (1) AIR FILTER, (1) FUEL FILTER, (1) SPARK PLUG. If we make a mistake, we will make it right, but we cannot take responsibility for your mistakes. Mistakes can happen. We are not responsible if this item does not fit your application. Therefore, they may be dirty and dusty or have slight imperfections from stacking/handling and what not. Stihl 030 NOS OEM Piston and Rings Kits (2) Vintage !